Fifteen years ago, some friends of mine installed a composting toilet in their home. I admit that I found the idea gross at first. However, I soon saw that using a composting toilet was very easy, didn’t smell, and was a smart move towards self-sufficiency and sustainability. Back then, my friends were mostly considered wackos for their decision. In the past few years though, there has been a huge push towards composting toilets. Some people want one for off-grid living. Others are interested in them as an emergency toilet for disaster preparedness. You don’t even have to make a DIY composting toilet like my friends did anymore. There are plenty of composting toilet models which are designed to resemble “normal” toilets and virtually foolproof to use. Some of these have really cool features. So, if you are looking to install a composting toilet in your home, you are in luck. There still aren’t too many options for small, portable composting toilets available, but the ones that do exist are great. Here’s the top picks for best composting toilets and how they compare. *If you are new to this, read our article on how composting toilets work. Right now, there are only two composting toilets that I’d recommend: Nature’s Head and Separett Villa. These are two-chamber urine-diverting composting toilets. 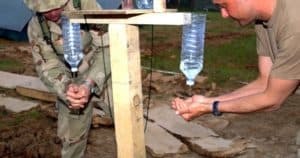 They require no water to use and can be installed in a home, cabin, RV, or outhouse. They have vents with fans for keeping the compost dry, aerated, and odor-free. The only difference is that you have to rotate the chamber on the Nature’s Head model (with an external crank). The Separett rotates the chamber automatically, but requires electricity to do so. 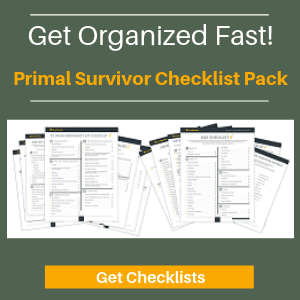 If you have absolutely no off-grid power source (solar, generator, etc. ), then go with the Nature’s Head composting toilet. If you do have off-grid power, then the Separett is the easier solution and only costs slightly more. This composting toilet was originally designed for RVs and boats. Thus, it is very small and compact in size. A lot of people use it in their homes and cabins now though. You can get about 90 uses of out if before emptying. You’ll want to empty the urine chamber every day. The unit is completely self-contained with a two-chamber system. One chamber is for urine and the other chamber is for solids. 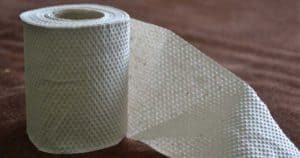 To use the composting toilet, you first need to add some peat moss (or other dry carbon material) to the solids chamber. Each time someone goes #2, you turn the agitator handle on the side. The handle spins the waste in the chamber so it stays aerated. You don’t have to do anything after urinating. You will need to connect to an outside vent. If you are putting this in an outhouse, that just means hooking up the vent pipe to a hole going to the outside. 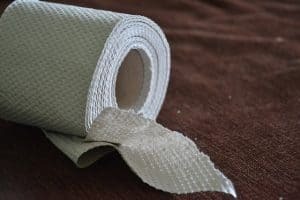 Indoors, it can be a bit more complicated – especially if you want to install the toilet someplace without plumbing venting. However, it could also just mean cutting a small hole in the wall for the vent pipe to go out of. You’ll also need to hook up the toilet to an electric supply. The electricity will power the vent fan. If the electricity goes down, the composting toilet will still work. However, some smells might occur. Generally composting toilets (even without vents) don’t smell. But, to play it safe, you might want to empty it more often if the power goes down. There is only one model of composting toilet by Nature’s Head. However, you can get it with a “standard handle” or a “spider handle.” The difference is that the spider handle takes up less room to the side, so is great if you are putting the toilet in a very tight spot. Get this composting toilet if: You want a very affordable, simple composting toilet which does exactly what it’s supposed to. Note: Order the 12v transformer if you want to power it with 110v power. Separett is a brand originally from Europe but is now available in the USA. Their toilets are made to resemble normal flush toilets as closely as possible so guests won’t be confused or put-off by using them. The Separett Villa is probably the easiest composting toilet to use. However, it has a major downside that you can’t rotate the chamber manually. If the power goes out, the chamber won’t be rotated and composting will slow down. So, this is only the best option if you have a reliable off-grid power source. The difference between this composting toilet and the one by Nature’s Head is that they have an electric rotator: you won’t have to rotate the chamber each time you go #2. To use, start with some peat moss in the chamber. You don’t have to do anything else but occasionally empty the waste chamber. If the urine is set up to go in your normal plumbing drain, then you never even have to empty a urine chamber. To install the composting toilet, you’ll need a power source for running the rotational chamber and vent fan. It works on AC or DC power, so this is great if you are alternating between normal power and off-grid. The vent can be connected to a direct vent or US-pipe sized vents. All the direct venting equipment is included with the composting toilet. The fan will work with venting of up to 20 feet. The liquids can be set up to drain into a plumbing system. Or you can have the liquids drain into a container (which will need to be manually emptied) or to an external filtration system, such as a bed of sand outside of the bathroom. Get this composting toilet if: You don’t want to bother rotating the chamber and are willing to pay a bit more. 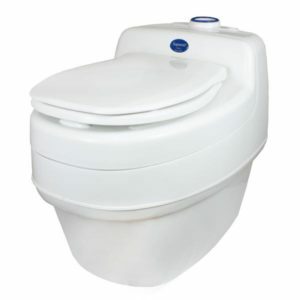 The brand Sun-Mar is one of the most popular when it comes to composting toilets. I do NOT recommend them. However, I decided to talk about them because you’ll find Sun-Mar listed in virtually every review of the best compost toilets. Obviously, the reviewers haven’t tried them or talked to people who’ve actually used them. Sun-Mar toilets only have one chamber. That means the urine doesn’t get diverted. It goes right in the chamber with the solid wastes. The urine is supposed to collect at the bottom. In the Sun-Mar electric models, an internal heating device evaporates the urine so the correct moisture is maintained. In non-electric models, there is a drain pipe in case the liquid amounts gets too high. While this removes the need to empty a urine chamber, it also makes the composting less efficient. The compost chamber is wet, so more anaerobic bacteria will grow and make nasty smells. Plus, some crystals will form at the bottom of the chamber. These are impossible to remove without power-blasting them with a hose – and that WILL stink! When would I recommend this unit? If you are only looking for a toilet that can be used in emergencies, then the Sun-Mar Non-Electric Excel would be okay. It beats using a twin-bucket toilet. However, it’s VERY pricey for something that will only be used during emergencies. You can get it here. Most compost toilets are designed to resemble flush toilets as closely as possible. There will be a seat, bowl, and flush lever. However, no water is released when flushing. To keep the bowl fresh, most manufacturers recommend spraying it with a bit of vinegar after each use. 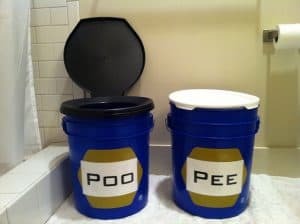 It is incredibly important to separate urine from solid waste. Otherwise, the nitrogen content and moisture will be too high for the waste to compost quickly. Urine diverters for compost toilets are very simple devices but work remarkably well. A funnel-like shape channels urine down a tube and into a collection device. When the urine tank is full, it can be dumped outside safely. After using the toilet, this is where waste drops. Before using a compost toilet, you need to add some compost material to the bottom, such as saw dust or peat moss. Each time you empty the chamber, you’ll have to add some new material. 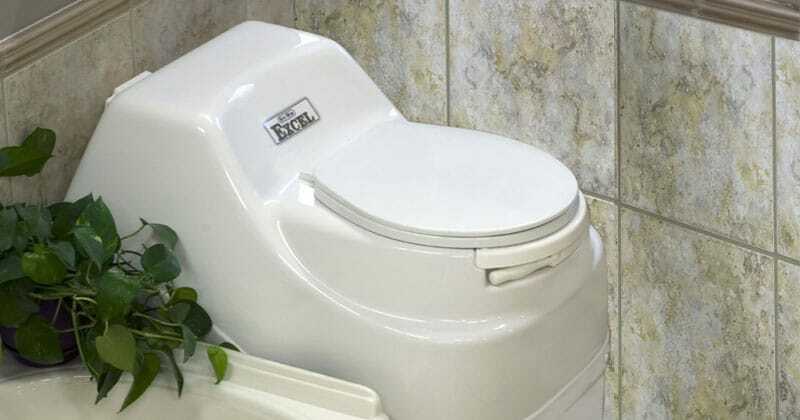 Depending on the model of composting toilet, there may be multiple chambers. The final chamber is the “finishing” chamber where composting waste is completed. By the time the waste is removed from the chamber, it is safe to spread on your garden. These multi-chamber composting toilets are very large though and usually not portable. Some very advanced compost toilets have sensors and thermostats inside the chamber. The toilet will automatically adjust the temperature so conditions are ideal for composting. These composting toilets tend to be very expensive though and generally not great for off-grid or emergency planning. Each time you go #2 in a compost toilet, you should add a bit of peat moss or saw dust. Then you need to rotate the chamber. To do this, portable compost toilets have a handle on the outside. The handle rotates the chamber to agitate and aerate it. Venting the toilet’s chamber allows for more air to reach the waste inside, thus helping aerobic bacteria thrive so composting occurs faster. The vent also helps any bad odors escape. Adding a vent fan drastically improves the results, but the fan will require electricity. Almost all portable compost toilets require electricity to work. Electricity will power fans, rotate chambers, and even control temperature. Having electric parts means that composting happens much faster. However, the obvious caveat is that you’ll need electricity for your compost toilet to work. For example, if a blackout occurs or you have to repair your solar panels, then your toilet may not work. That you have a reliable form of energy (such as an emergency generator). 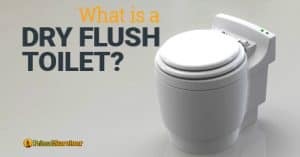 As I talked about with the Sun-Mar composting toilets, you typically want a composting toilet which will divert urine. Otherwise, the compost gets too wet and stinky anaerobic bacteria will form. It will take forever to get clean fertilizer if your compost is too wet. The nitrogen in the urine also doesn’t help with composting. The only time it’s okay not to divert urine is if the waste is all going into a giant external tank or ground pit. The tank or pit can be lined with sand so the moisture drains out. However, these types of pits aren’t allowed everywhere because the waste can contaminate ground water. The bottom line? Stick to urine-diverting composting toilets. In theory, it shouldn’t matter what your composting toilet looks like. However, if you plan on having guests over, it is very helpful if your composting toilet resembles a normal toilet as much as possible. Otherwise, your guests might be confused on how to work it. *It helps to put a poster in your bathroom telling guests how to use the toilet. Nature’s Head has one that you can download and print here (PDF).